Ever wondered exactly how your favorite band got their big break? 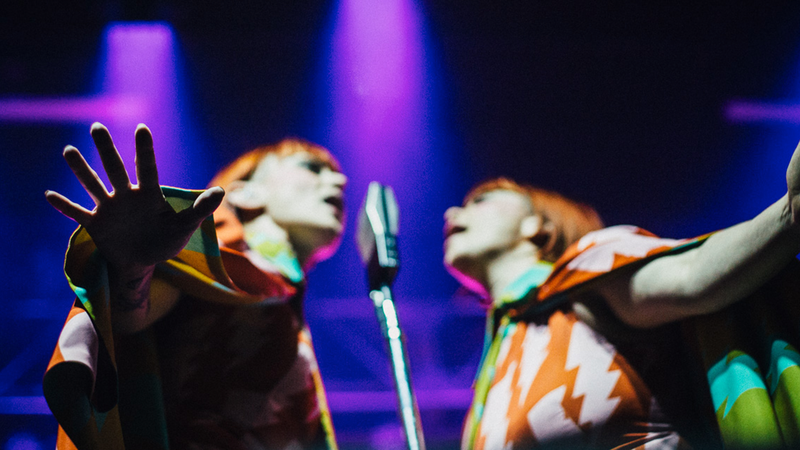 Lucius, known for their signature harmonies, coordinated ensembles, and hypnotic stage presence, are now serving up the truth juice on said story for the podcast, 'Sugar High'—and yes, it's as awesome as you'd imagine. From fresh-out-of-college NYC residents to one of the industry's leading duos, the "Million Dollar Secret" two-piece are explaining it all on Episode 18. The group's frontwomen, Jess Wolfe and Holly Laessig, chat with the podcast's producer, Danny Carissimi, about knocking on venues doors and working starter jobs, all while finding time to write new music. 'Sugar High' premieres every Wednesday on A Music Blog, Yea? and the podcast's website. Previous episodes include 311, Com Truise, Neon Indian, Rey Reel, Chris Swanson, Allday, Walk the Moon, Bears Den, RAC, and more. Check it out below, and make sure to Track Lucius on Bandsintown to find out when they'll be hitting a city near you!